The fresh sea air will invigorate your mind and body while you relax and enjoy the idyllic surroundings of Hopetoun. Enjoy a self-catered holiday in one of our charming chalets. Treat yourself to a glass of your favourite Western Australian wine while watching a magical sunset over the ocean from West Beach. 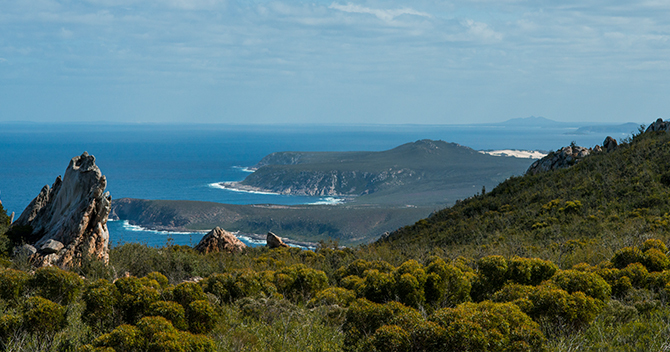 Visit the rugged landscape of nearby Fitzgerald River National Park. Enjoy fishing, swimming, and kite surfing or boating off pristine white sandy beaches. Experience the myriad of colours in our spring wildflowers. This detailed Fitzgerald Coast brochure is a great starting point for visiting the area. The Hopetoun Beaches pamphlet is also a great resource! The Hopetoun Motel and Chalet Village offers an opportunity to stay in the heart of Hopetoun in comfortable accommodation whilst you explore all the delights that the area has to offer. If you’re travelling around Australia and are looking for other fantastic places to stay we can recommend Broome Time Accommodation – Broome Western Australia and Rimini Holiday Resort in Noosa on the Sunshine Coast in Queensland. Our Chalets are free-standing, fully self-contained units with a master bedroom, second bedroom, a living area, fully equipped kitchen, bathroom and toilet. Our Townhouse is recently completed; it is 2 storeys with large balcony overlooking the Bay. The Harbour Master Quarters is a 3 Bedroom house centrally located at 26 Veal Street, opposite the Main Beach. The fresh sea air will invigorate your mind and body while you relax and enjoy the idyllic surroundings of Hopetoun. There are a range of water activities located just steps from away from Hopetoun Motel & Chalet Village. There are a range of land activities located just steps from away from Hopetoun Motel & Chalet Village.